There are few things I love more than watching and listening to the Boyz and Gracie eat. (I find it very therapeutic.) Because I spend a lot of time observing them, I know that when Ellsworth swishes his tail, it’s a signal he’s getting ready to move. Otherwise, an Ellsworth tail swish at mealtime is a prelude to his rear end swinging from side to side… gradually widening his arc… until he decides which way he’s going to go. 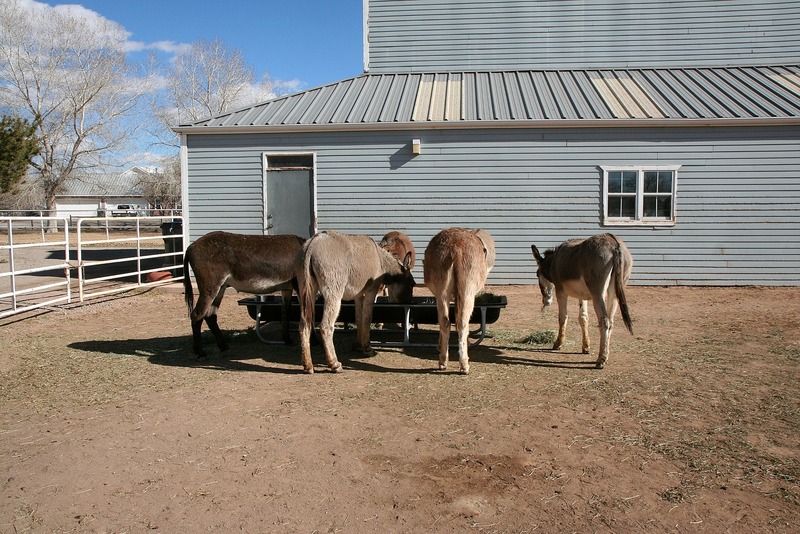 With six donkeys in our herd now, our old round feed tub was becoming more and more problematic. Things were tight, and Ellsworth’s need to shift positions every so often was disturbing the peace. Ellsworth just tried out how deep the new feeding tube is. So there is no need to laugh at him…. And yes, the new perspective for taking photos ist really good! New angles, I love it! Ellsworth sure knows how to make mealtimes more interesting. Will be interesting to see if they settle in to regular spots at the table. Ellsworth will no doubt be at the head. 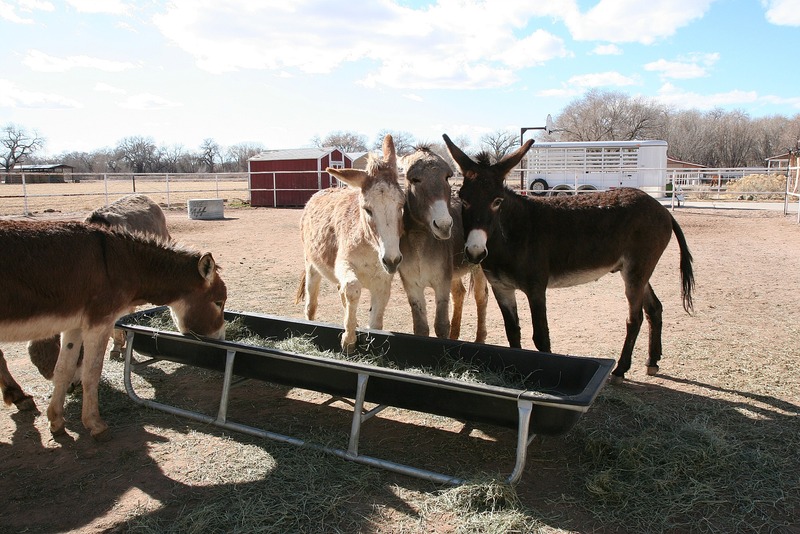 Oh my, yes, this feeder was a brilliant idea. I’m surprised that wasn’t Bernard trying to walk across it! 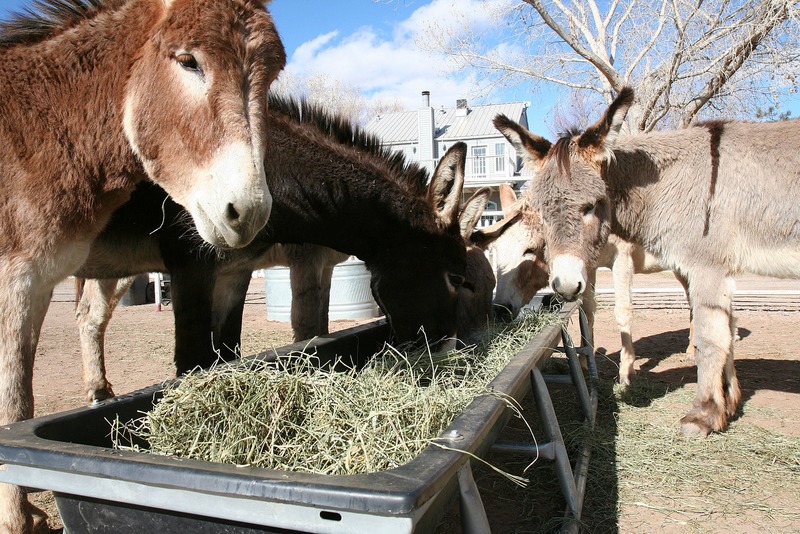 Beamer would have all the hay flipped out in 30 seconds. 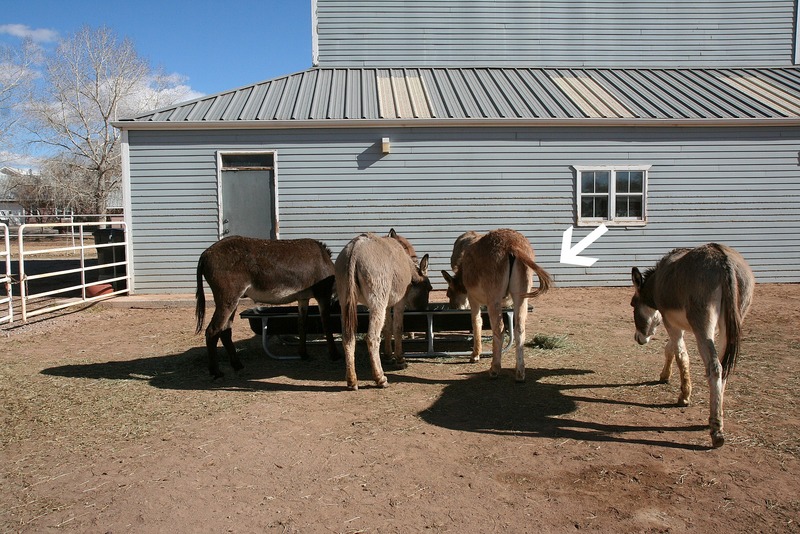 His corner feeder is almost 3 feet deep and he manages to get all his hay on the ground…. sigh…. This is my favorite post. The close ups of their beautiful faces are precious! Awwww! Super cute! 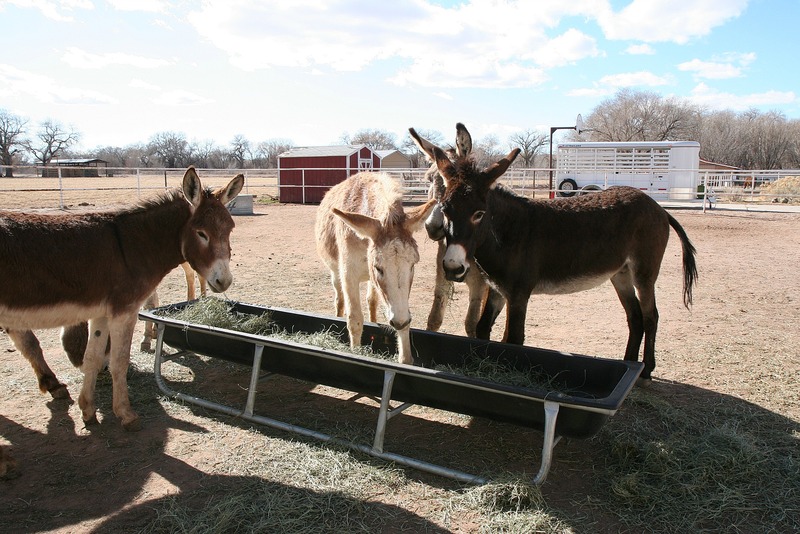 I love the photos of your herd. Poor Ellsworth, haha! 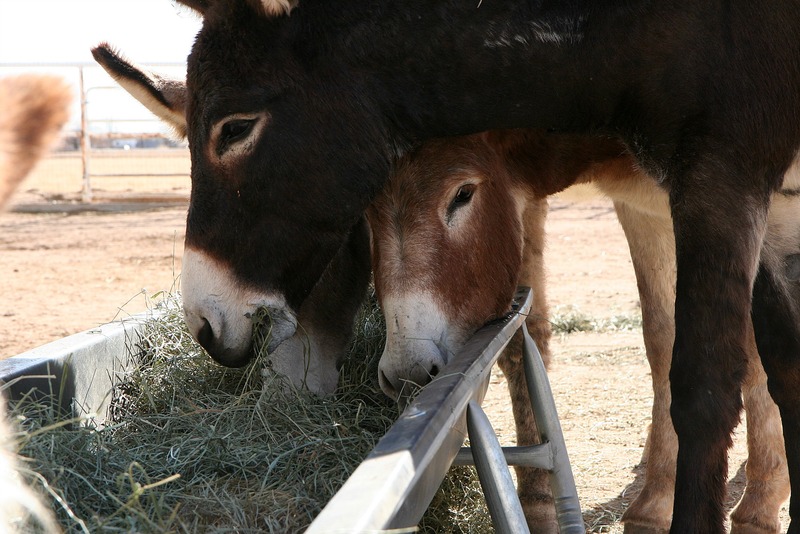 Such sweet donkeys:-) I had a feeder like that when I was raising young foals. As they got a little bigger, their feet ended up breaking through and it was buh-bye to the feeder. I predict Bernard will be standing in it before long. 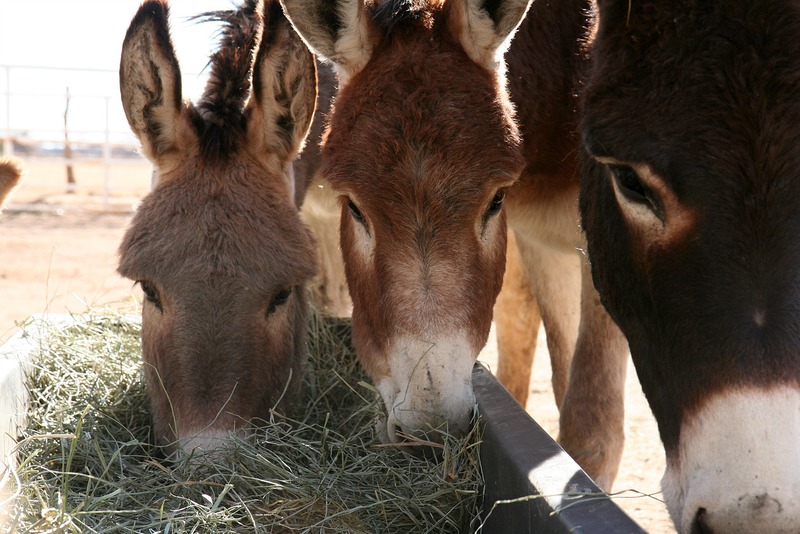 With 6 donkeys in the family now, could you do a little tutorial on identifying each one. Obviously, Ells is the only redhead, but I struggle to tell them apart in a group photo. I believe that Buck is red, but much darker. The rest leave me wondering. I’ll work on it and will have something posted in the next few days. They are so cute! Sounds enjoyable to observe all them at the new feeder. that is too funny! and funny how they all still stand right on top of each other despite the extra room!